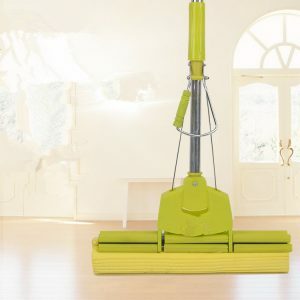 The cotton mop is a kind of mop that many people will choose now, because this mop not only can quickly clean the stains but also does not make the water everywhere, so it is very convenient. But this kind of cotton mop is actually very difficult to clean because this mop can easily hide a lot of residual stains inside, but you will not easily find out, even if found, cannot easily clean them. Today I will teach you a way to quickly and easily clean up some of the stains in the cotton mop. Come and have a look. You need to prepare three things, baking soda, white vinegar, and 84 disinfectant. Then you can prepare a large basin, at least to accommodate the cotton mop. Then put some warm water in the basin, the temperature of the water is best around 30 degrees because if the water temperature is too high, it will cause the rubber mop to harden, causing damage to the cotton mop. So be sure to prepare warm water around 30 degrees. Wait until you have prepared the warm water and put the cotton mop in it. Make sure that the cotton is dragged so that the following steps are taken. Wait until you put the cotton mop in warm water so that it can be soaked for a while so that the cotton mop will be completely wet. 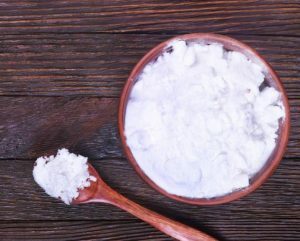 Then you can first sprinkle some baking soda on the side of the cotton mop, make sure that the baking soda powder can cover the side of the cotton mop. Then sprinkle some white vinegar on the cotton mop, be sure to sprinkle some more, so that the cotton mop can get a certain degree of anti-virus. 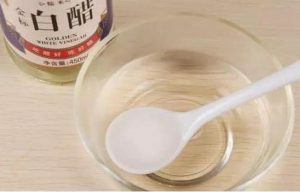 If white vinegar and baking soda are combined, there will be some reaction, which will clean the dirty things in the cotton mop. After the cotton mop is sprinkled with white vinegar, you can wait another five minutes or so to ensure that the white vinegar can enter the depth of the cotton mop, and then you can change the cotton mop for a face. On the other side of the cotton mop, you need to repeat this method. Also, make sure that the white vinegar penetrates deep into the cotton mop and stays for about five minutes. At this time you will find that the water in the basin has begun to get dirty slowly, which means that the dirt inside the cotton mop has penetrated. However, at this time you can not take the cotton mop directly out, you also need to repeatedly clean the cotton mop in this basin, you can repeatedly move the pressure rod on the cotton mop, know that you can put the dirty things inside the cotton mop Just press it out. However, at this time you can’t ensure that the dirty things in the cotton mop can be completely eliminated, so you need to proceed to the next step. 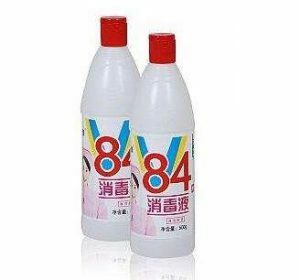 You need to re-prepare a pot of warm water, then pour some 84 disinfectant into the water, remember not to pour too much, probably to the lid of the disinfection bottle cap. Then put the cotton mop into the bubble for five minutes. When you take it out in five minutes, move the pressure rod again to ensure that the disinfectant in the cotton mop can be completely squeezed out. Never let the disinfectant stay inside. Because these disinfectants will corrode the cotton mop. Then you can wash it with water several times. Or you can go to the broom manufacturers to buy a new one.They have many products, such as flat mop, twist mop, spray mop, car brush and so on.